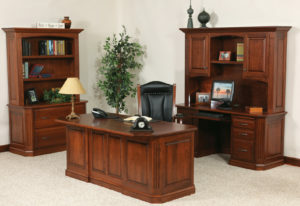 Presenting Office Furniture Collections which can transform your work space into one of incredible productivity, comfort and pizazz. 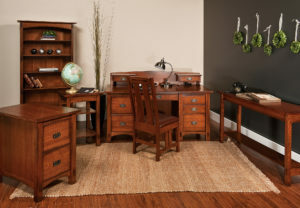 The collections from Weaver Furniture Sales typically include a desk, bookcase, file cabinet and desk chair. 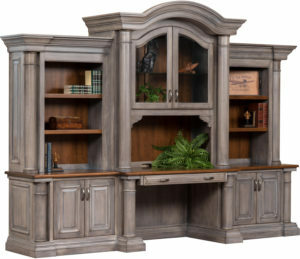 Also, some collections include credenzas. The top Amish artisans in the Midwest expertly craft each collection. Also, the Amish men use solid hardwoods like oak, maple and cherry. Plus traditional, tried and proven woodworking techniques. So browse our online collections. Or visit or ‘brick and mortar’ store in picturesque Shipshewana, Indiana. And explore the Amish desk sets yourself. 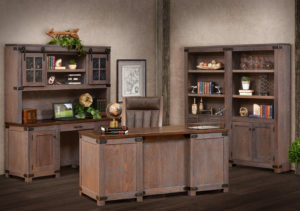 The Amish office furniture collections from Weaver Furniture Sales are unlike anything you’re likely to find in big box stores or traditional furniture stores. 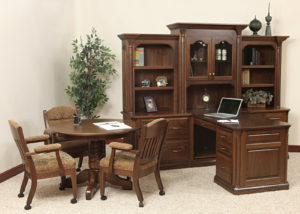 That’s because our furniture is characterized by superior construction and materials. 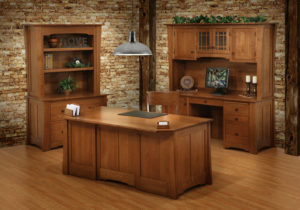 Skilled Amish cabinetmakers custom-build each piece. 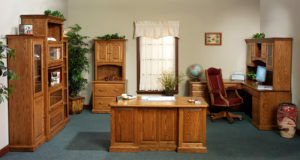 And the Amish men use quality hardwoods like cherry, oak and maple. 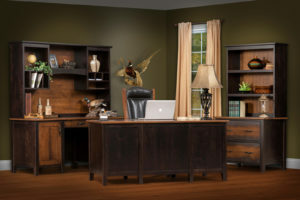 So you won’t find bargain substitutes like particle board, veneers, nails and brads in any piece of furniture from Weaver. This means our furniture is so sturdy, with proper care, it should last for generations to come. 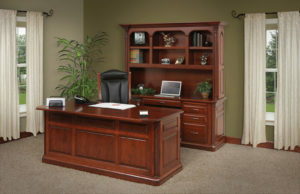 What’s more, we equip each piece of furniture with high-end features. 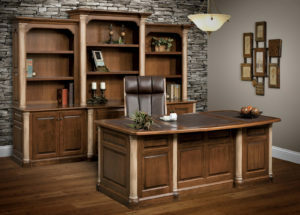 Like full-extension drawers, solid wood backs, custom options and a classic style.